Several years ago when I was preaching at the Hickman Mills church in Kansas City, I was canvassing the nearby neighborhood, passing out flyers inviting our neighbors to a Gospel Meeting. I knocked on one door and the gentleman enthusiastically invited me to come in, which was unusual. He talked for a minute, then he said I want to show you something. He ran down the hallway and returned with some papers he wanted me to read. It seems several years before, he was driving across the plains of Kansas and encountered a brewing storm. The clouds created an unusual formation which he interpreted as God speaking to Him. Giving him a message. And calling him to share it with others. I thanked him. Told him I would read the papers. And we would talk later, which we did. Honestly, I don’t even remember the entire contents of the message. I recall it was a bit muddled and confusing. But it did warn us about being in the last days with Jesus impending return. I explained to him that God doesn’t reveal Himself to people that way today. But nothing I said could deter him from holding on to this subjective experience. God does speak today. But the Bible clearly states the means, the message, and the method. In Hebrews 1:1-4, the writer made this affirmation. Consider these clear and easily understood Bible affirmations. In past times God used various means to communicate to people. He spoke directly. He used angels. Communicated through dreams. He spoke to Moses through the burning bush. He sent His prophets. Once he even spoke through the mouth of a donkey. (2) Jesus is God’s spokesman today. The writer plainly affirms that God speaks to us today through His Son. Not angels. Not dreams. Not prophets. Not messages in the sky. Not subjective experiences. God speaks to us through Jesus. He came with all authority to do the will the Father. His life and teaching are recorded for us by the gospel accounts of Matthew, Mark, Luke, and John. 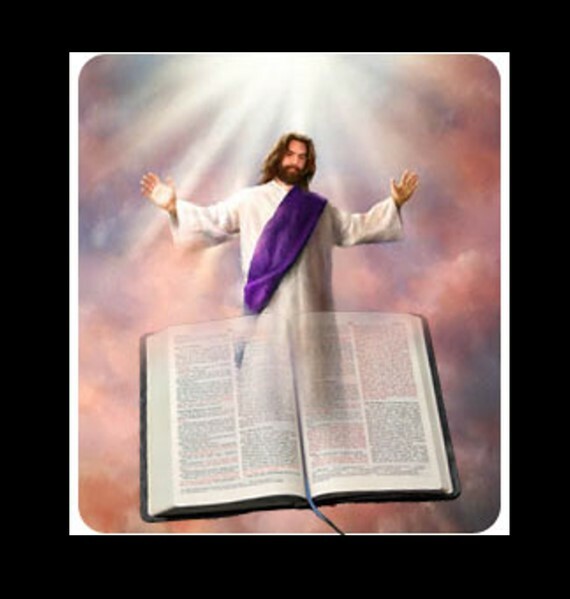 Furthermore, Jesus promised to send the Holy Spirit to continue to reveal His Word (John 14:26; 15:26; 16:13). Paul affirmed that His writings were revealed by the Holy Spirit. They are concise. Understandable. Enlightening. And accessible (Eph 3:3-5). The Holy Spirit has laid down the pen of inspiration. And the message is complete. Final. And finished. (Jude 3). And we have it in the book we call the Bible. It is the Father and Son speaking to us today. (3) Jesus has been exalted by the Father. He is God. The Incarnate Word. The Light of the World. He is the Creator. The glue that holds all things together. The radiance of Divine glory. The exact representation of God’s being. He is the head of the church. The King of kings. And the Lord of lords. We honor and listen to Him. Not angels. Not some religious leaders. Not some self-proclaimed prophet. (4) We are in the last days. Yes, we are. But we have been for 2000 years! This text says “in these last days spoken to us by His Son.” Peter affirmed that the prophetic period of “the last days” began on Pentecost (Ax. 2:14-21). He identified the events of that day as being a fulfillment of prophecy.